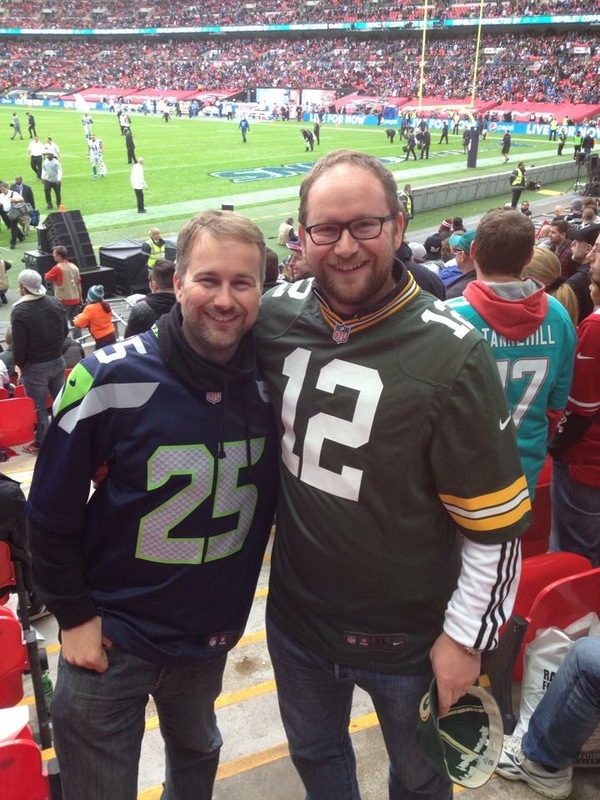 Courtesy of my brother, I spent the afternoon enjoying a bit of NFL action, just down the road from my house at Twickenham Stadium. Today’s game was the Minnesota Vikings at Cleveland Browns. After last week’s game where the Arizona Cardinals failed to show up, even before Quarterback Carson Palmer left the field with an injury, I wasn’t expecting this to be a tight game. We expected the Vikings to walk away with it. We were happily surprised then, that Cleveland managed to make quite a game of it in the first half. Unfortunately, they couldn’t keep up the pressure in the second half and the Vikings opened up an unassailable lead. I took a few pictures and some video which I’ve put on YouTube. I’ll stick a link down the page a little. The first half was very tense with a mixture of good play and costly errors including an interception thrown by Vikings QB Case Keenum. It took Cleveland just two plays to take advantage of this mistake and score a touchdown. Their inability to convert the PAT was symptomatic of their afternoon. Good play but not quite enough to do the job. They also muffed a punt and gifted excellent field position to the Vikings which allowed them back into the game. Kicker Zane Gonzalez made another error later on, failing to get the ball through the uprights on a field goal attempt. Not happy after his missed Field Goal! Gonzalez can’t take all the blame. The Browns just didn’t have enough in the tank to keep up with the Vikings. Running back Isaiah Crowell put in some good work and rookie QB, DeShone Kizer did well on occasions. The first half ended with the Browns up 13-12, but they were outgained in the second half. Although Cleveland managed over 100 yards on the ground, it was Minnesota’s aerial success that won the battle in the end, with them outgaining Cleveland 287 yards to 161. Thielen and McKinnon managed 170 yards receiving between them which eviscerated the Cleveland defence. I looked at taking the boy to see a Quins game but it was very pricey. I only go to the NFL games because my brother sorts the tickets out as my ongoing birthday present. I love my brother. It’s clear from the photo and the text. Sure he uses the same words about you.